Tonight sees the second semi-final of the Estonian selection process “Eesti Laul” and we have spent this week chatting with some of the artists who are competing to be one of the 6 who will be chosen to proceed to the Final which will be held on February 16th. 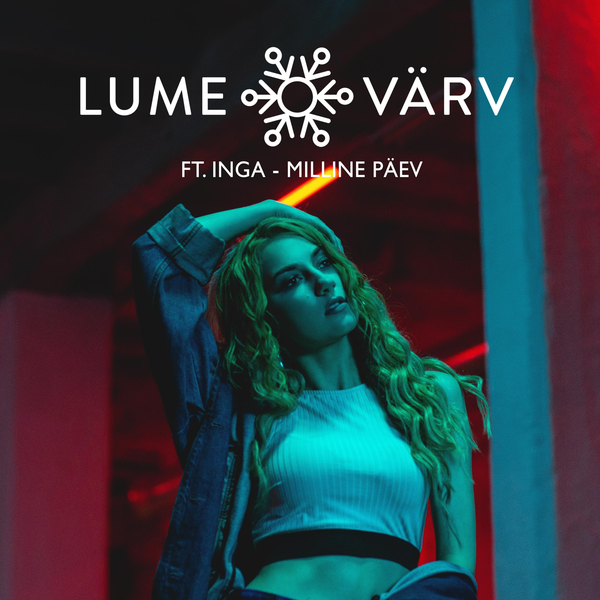 Welcome to Eesti Laul Lumevärv who, along with singer Inga, have the absolute bop of “Milline Päev” (“What A Day”) in this years Estonian selection. Margus/Kermo – you have been working together since the summer, what inspired you to enter Eesti Laul 2019? Am I right in thinking that Inga is Inga Tislar, of the La La Ladies who we last saw at Eesti Laul in 2016? How did this collaboration come about? I see that the lyrics of “Milline Paev” have been written by Jana Hallas, is that the very same Jana Hallas who co-wrote “Once in a Lifetime” for Ines in 2000 and “Runaway” for Sahlene in 2002 amongst others? Jana has definitely the biggest experience in our team regarding Eurovision. She is amazing, it took her only 2 days to write the lyrics and they are really good and positive, exactly what the song needed. And also when she started we had 2 days until deadline 🙂 Luckily it all turned out great. The video shows Inga giving a terrific fun performance on the rooftops of Tallinn – will we be seeing yourselves on the Eesti Laul stage? What plans do you have for after Eesti Laul? As a new project I bet you’ve got some fantastic things waiting! Well, we couldn’t not show you the new version of “Milline Päev” after such comments, so here it is! Who do you want to see qualify from the second semi final? Vote in our polls! And stay with us here on ESCBubble as we live blog tonights show and we will have a team on the ground at the Grand Final at the Saku Suurhall in Tallinn on February 16th, bringing you exclusive content! These are YOUR qualifiers from Heat Three of A Dal 2019!